An easily absorbed balm for use upon completion of your normal shaving routine. 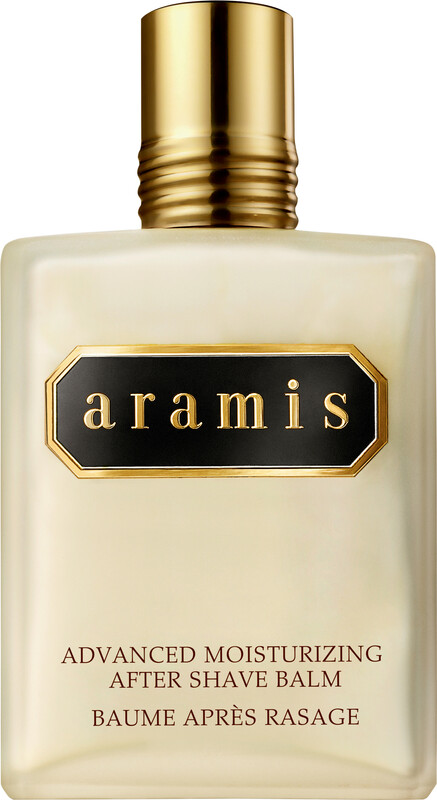 Smooth on this intensely soothing fluid to pacify shave irritated skin and scent it with the aromatic fragrance of Aramis. Aramis Advanced Moisturizing Aftershave Balm 120ml is rated 5.0 out of 5 by 3. Rated 5 out of 5 by Tony26 from Aramis after shave balm Used for many years. Delicate perfume. Lovely texture and keeps my skin in perfect condition. Highly recommended. Rated 5 out of 5 by Nicktt from Aramis aftershave balm Purchased Aramis aftershave balm as part of my DE shaving regime it cools the face well and has a rich creamy texture.A little goes a long way should last a while best price found after some surfing.Smells great last all day and moisturises as good as many other balms. I do find that I like the smell that much that I use it as a daily moisturiser works for me. Rated 5 out of 5 by Herman from I have been using the Advanced Moisturising After Shave Balm product for many - probably more than 20 - years and find it very satisfying. My skin is sensitive to alcohol containing products and this product solves the problem. As it is no longer imported into South Africa, I hope to be able to purchase more in due course from your company.